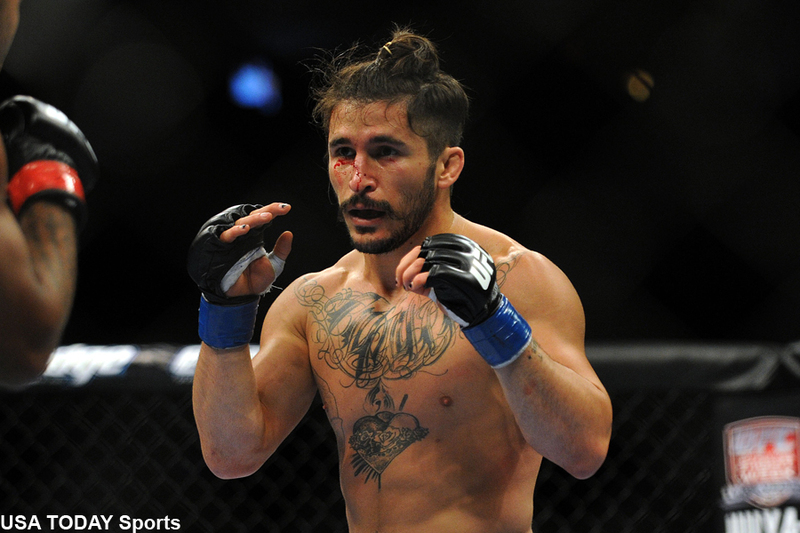 For the third time in as many scheduled fights, Ian McCall’s (pictured) bout has been canceled on fight week. This time, however, unlike with the previous two occasions, is on McCall. Prior to Friday’s “UFC Fight Night 99: Hall vs. Mousasi II” weigh-ins, McCall became ill and was pulled from his flyweight contest against Neil Seery. The fight was slotted as the featured preliminary bout. Seery will receive his show money after making weight at 126 pounds on the scale. The 37-year-old was planning on retiring after the contest, but he will give it another go because he doesn’t want to go out like this. It is unknown exactly what illness caused McCall to exit from the fight. Early reports indicate that it was not from cutting weight. SSE Arena Belfast in Belfast, Northern Ireland hosts Saturday’s fights. UFC Fight Pass streams the entire event live in America starting at 12:15PM ET/3:15PM PT. A middleweight tango between Uriah Hall and Gegard Mousasi headlines the gig.